Last year, East Tyrol and Bora-hansgrohe entered into an exclusive tourism and cooperation training agreement: each year, the cycling professionals led by Ralph Denk complete two longer altitude training camp sessions in East Tyrol to prepare for the race and the team camp at the end of the season also takes place in Lienz. 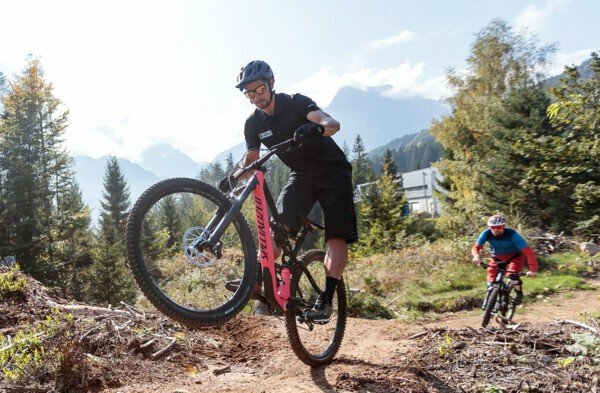 One of the highlights of last year was the first ride of the new bike trail at the Bike Park Lienz by three-times UCI World Champion Peter Sagan. “This much we can say: Peter Sagan will be back in East Tyrol again this year where he will officially open a new bike trail,” says the Chairman of the Tourist Board, Franz Theurl. Various cycling professionals preparing for competitions are also training in East Tyrol in summer 2018 and have moved into their lodgings on the Zettersfeld at around 1,800m above sea level. In addition to the former ‘King of the Glockner’ Gregor Mühlberger, who also won ‘Rund um Köln’ last year, training is also being undertaken in East Tyrol by British cyclist Peter Kennaugh, two-times stage winner of the Dauphine Libere and 2014 overall winner of the Tour of Austria as well as climbing specialists Emanuel Buchmann and Jay McCarthy, Italian Davide Formolo and Irish rider Sam Bennett. The professionals are each allocated a sports manager, trainer, athletics trainer, physiotherapist, mechanic and nutritional advisor to look after them. “The aim of the camp is to achieve an increase in aerobic endurance levels. We use the camp to prepare our young talent for up-and-coming competitions. For most riders, it is also about working on their climbing ability (strength endurance). The topography of East Tyrol is perfect for that. ‘Living’ at altitude is used as a specific method of training here. This ensures a natural increase in red blood cells and improved oxygen transport to the muscles,” trainer Dan Lorang explains.